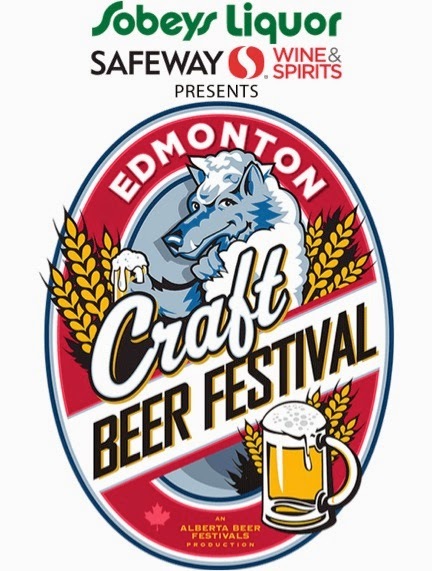 Mr. Moo's Adventures: Win Tickets to Edmonton Craft Beer Festival! I love attending festivals as it gives me the opportunity not only to try stuff that I might not otherwise try, but also stuff I might not otherwise be aware of! It also gives me the chance to directly compare different things, which if tried on it’s own, I’d never be aware of the differences. Luckily for you, I have festival tickets to give away! I have 4 pairs of tickets to Friday, June 5th and 4 pairs of tickets to Saturday, June 6th! You will have to purchase your own tasting tokens, which are sold in sheets of 10 for $10. Each sample is a minimum of 2 tokens, but food and specialty beers may cost more. UPDATED Wednesday, June 13, 2015: The contest is now closed! Thanks to everyone who participated! The winner are @resp_traveller, @jackbrat, @Boc40, @mycolouredsky, @80sssgirl, @_frankenfish, @Rremington7S and Thuy Nguyen! 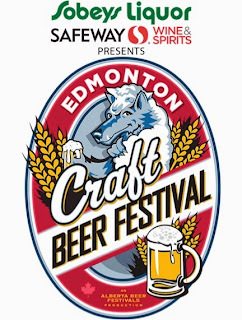 Congratulations and I hope you enjoy your tickets to the Edmonton Craft Beer Festival! Tickets available at all Sobeys Grocery, Sobeys Liquor and Brewster locations. Tickets also can be purchased online at www.albertabeerfestivals.com. Note that this is an 18+ event. A piece of government issued photo ID is required for admission to the event. I would like tickets to the June 5 event. Hi! If I win, I prefer Saturday night...thanks! Hi! If I win, I prefer Saturday night....thanks! I would pick Friday since I will be at FIFA on Saturday cheering on Team CANADA!! Saturday the 6th would be awesome if I was to win! Would love Saturday! Thank you. I would love to win for Friday! Friday would be my choice, love the blog! If I am one of the lucky recipients of tickets, I would appreciate them for the Saturday event. I look forward to enhancing my adoration and knowledge of beer, as well as being able to taste test new food!